Bucuti & Tara Beach Resort, the Caribbean’s #1 Hotel for Romance is cranking up their wellness score! Now you can skip Happy Hour on the beach and check out its wellness-focused counterpart, Healthy Hour, featuring complimentary wholesome snacks and half-priced nutrient-packed smoothies and Bucuti craft mocktails from 3 to 4 p.m. daily. 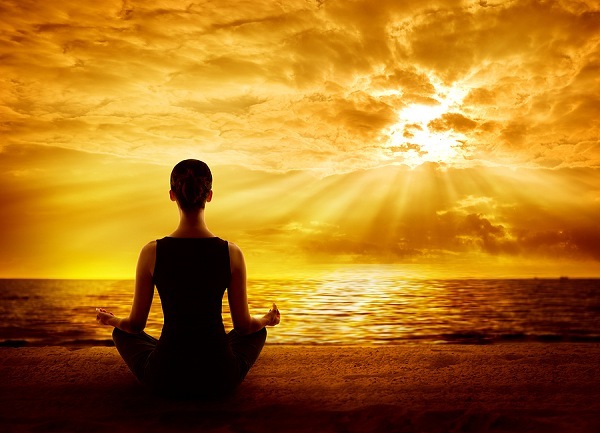 New daily complimentary wellness activities and classes include yoga and meditation, Tai Chi on the beach, sunrise beach walks, nutritional counseling, group personal training sessions and chef-led cooking demonstrations of healthy dishes. In its 30th annual Readers’ Choice Awards, Condé Nast Traveler recognized Bucuti as one of the Top 40 Resorts in the Caribbean. Additionally, Caribbean Journal named Ewald Biemans the 2017 Caribbean Hotelier of the Year for showing that a commitment to our community, guests, and environment can be mutually inclusive. All-Inclusive programs aren’t available at Bucuti and no groups are accommodated to preserve the tranquil atmosphere. Executive Chef Kelt Hugo Maat and Maitre D’ Bas Kruisselbrink have joined forces to create Senses, an innovative fine dining experience at Bucuti. True to the restaurant’s name, guests are treated to a gastronomic journey that delights the senses in five to eight courses through sight, smell, touch, audio and, of course, taste. 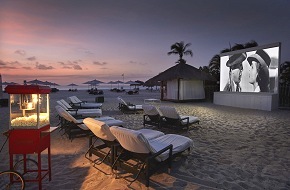 And finally, what better way to end a day in paradise at the Caribbean’s #1 Hotel for Romance than movies under the stars on world-famous Eagle Beach? Now being held on Saturday and Wednesday nights at 8 p.m., this free event includes a comfortable lounger, freshly popped popcorn and a romantic evening under the stars with your loved one.